back in safe mode. would not work in normal mode. 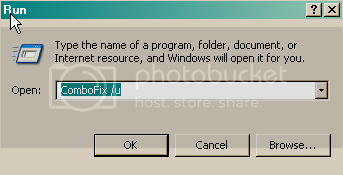 Since winsock wont run do you want me to go ahead with the Kasperky scan in safe mode? Yes just try to run it in Safe Mode and post that log. Ok a little left to go. Also delete anything that we used that are left over. And as far as malware you are clean after that. Then click on the plus sign next to Network Adapters. Right click on the network adapter that you use (not the 1394 one) and then choose uninstall. Click yes at the prompt then reboot into normal mode (it should reinstall the network controller or Ethernet adapter) then after it does that try to connect to the internet again let me know how it goes. Try to disable your firewall and see if that helps. WOW.....I had to disable my pc cillin and now am using the windows firewall in order to connect in normal mode....IM on but with no virus protection at the moment.....HELP....any suggestions there?? Avast??????? I am not sure how to do it. But you Mr Geek Guy Hero seemed to have fixed the problems!!!!!!!!!!!!!!!!!!!!!!!!!!!!!! In My opinion I would get rid of PCCillin. You can download AVG free or Avast . After that you are good to go. What can I say here.....I am not even sure words can say it! The work and time that you put in here to help me and so many others is just amazing. To me it was a major thing...you made me feel so at ease through fixing it all..... All I can add to that is THANK YOU FROM THE BOTTOM OF MY HEART! To you, I think many good things will always be returned!!!!! Hugs to you and your precious family!!!!!!! MY NUMBER ONE GEEK HERO! You are kind it was my pleasure and I enjoy killing malware as it comes. Safe surfing and God bless you and yours.